A man who failed to appear for a trial at Warwick Crown Court is now wanted by police. Tony Stephen Owens failed to appear at Warwick Crown Court for a trial in January and a warrant has since been issued for his arrest. Enquiries are ongoing to locate him. The 37-year-old is described as being of slim build, around 5ft 6in tall, with tattoos on his arms and his eyebrow pierced. 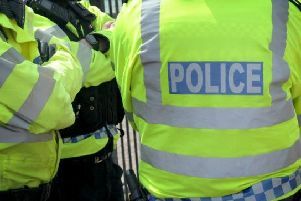 He is thought to have connections to the Ashby-de-la-Zouch area of Leicestershire and the West Midlands. Anyone who has seen Tony or knows of his whereabouts is asked to call Warwickshire Police on 101.